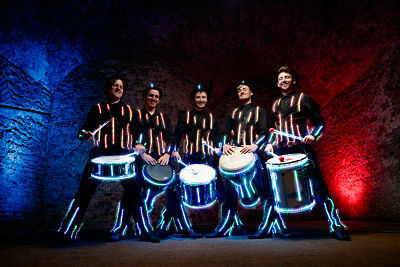 Smoking Hot LED Drummers combine the visual and musical to create a lively, fun and spectacular performance. 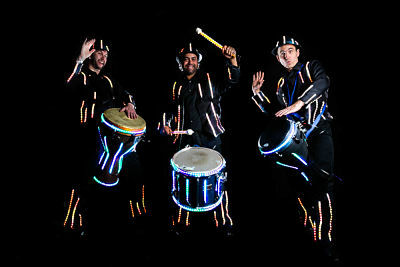 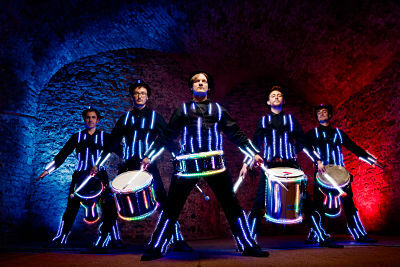 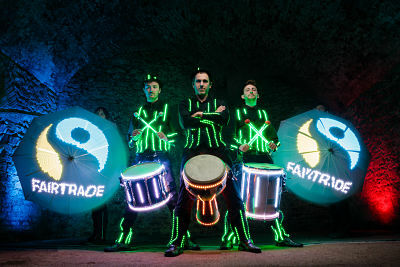 The drummers’ expertise in weaving beats and rhythms, along with being covered head to toe in lights give them a pulling power which few other performances can match. 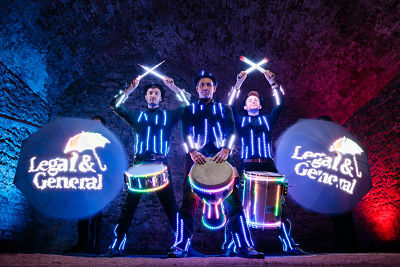 They are available to hire for corporate parties, balls, product launch parties, film premieres, anniversaries and weddings. 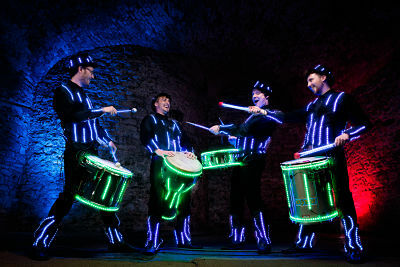 To add to the impact of this performance our drums are equipped with the very latest beat-sensitive technology allowing our performers to not only twinkle, flash and sparkle perfectly in time with the music, but also to disappear and reappear at the beat of a drum! 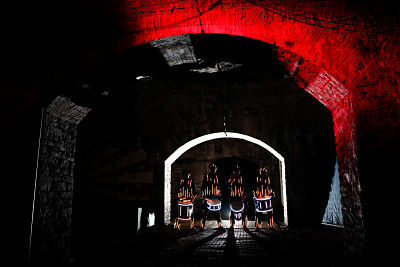 This performance is great as a walkabout stage show or both.